Looking for the best all ages 18+ events in South Florida Boca Raton ? Check out the DEADBEATS SUNSET COVE BOCA Tickets For Sale Discount event featuring some of the best edm djs in the world. Come on down to the DeadBeats event this September 2018 ! Purchase your tickets, wrist bands and passes early before prices go up and tickets sell out save on early discount pricing. USE OUR EXCLUSIVE LINK . 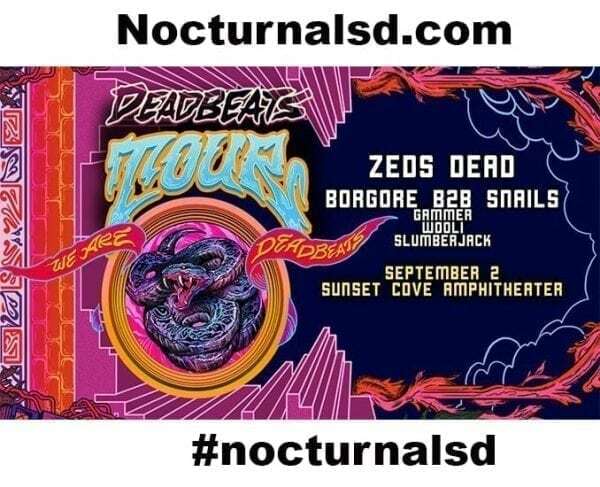 Zeds Dead, Borgore b2b Snails & many more!